A community can benefit in many ways from recycling buildings into useful structures instead of destroying them. For example, hundreds of grist mills in the Lehigh Valley were torn down after there was no longer a demand for Mill services. People interested in restoring old buildings may ask, “What would I do with it?” In the sixties, idealistic young people utilized many local abandoned structures — old firehouses, mills (including Illick’s Mill), social clubs, and houses — as youth gathering and music venues. These were lively for a time, but were “renovation” efforts, not adaptive reuse. In adaptive reuse, the structure is stabilized and historic materials are saved and strengthened as much as possible, but the idea is to put the building back into use. Most important, the building regains its vitality, and its use is sustainable. Illick’s Mill Project has taken adaptive reuse one step further in a green direction, utilizing innovative, earth-friendly technologies. 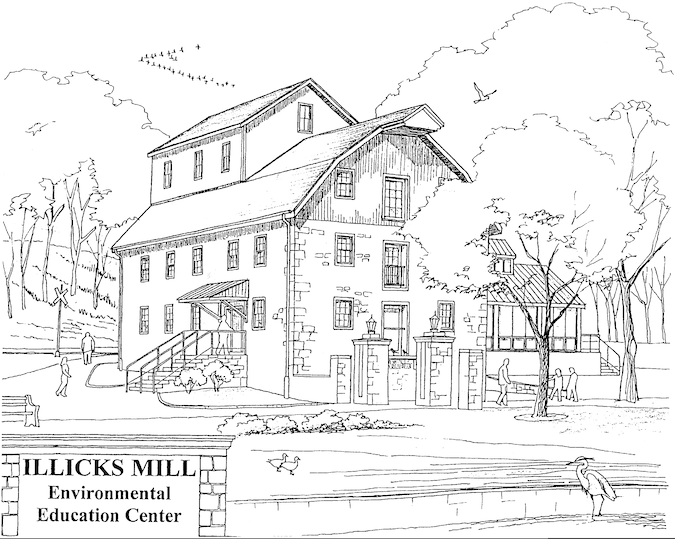 The Illick’s Mill Partnership, now in its final phase, is turning the historic grist mill into an environmental education center, which will open to the public, perhaps as early as Spring 2007. We hope that everyone who visits will feel compelled to reconsider the way our communities are being developed. Hannae is a student at Liberty High School and a member of the Illick’s Mill Project.